We Buy Houses Anywhere In Massachusetts or Connecticut, And At Any Price. Check Out How Our Process Works. We’re Ready To Give You A Fair Offer For Your House. If you are you asking, “How can I sell my house fast in Massachusetts or Connecticut when it needs a lot of repairs?” We are ready to give you a fair all-cash offer. We will buy your house “As-Is”. NO repairs, NO inspections. Take what you want from the house and leave the rest behind! Our process is super simple, cost effective and stress free. We can close on the date of your choice. If you need to sell your house fast we can usually close the same week! Selling your house may seem like an impossible idea, especially in Massachusetts or Connecticut. You need to think about a number of things like researching your local housing market, setting a reasonable price, selection of a suitable real-estate professional, researching the proper paperwork including required federal and state disclosures etc. 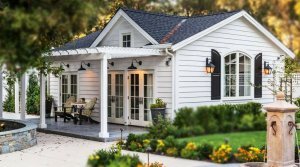 You also have to think about getting your property ready for sale including improving your home’s curb appeal, getting rid of clutter. The sales process can be super stressful including advertising, showings, open houses, appraisals and inspections. Often times buyers with ask for costly repairs which will require you to find contractors and spend money and time curing property defects. The process can take several months and often times, buyers back out leaving you to start the entire process over again. But there is a better solution. You don’t have to worry since Mass Property Buyers is here to help. Our process is super simple and stress free. It doesn’t matter what your circumstances are or why you want to sell your property. No matter how complicated your situation is WE CAN HELP! CONTACT US TODAY! We often hear from property sellers that their only regret is not contacting us sooner! Just knowing what your options are is a HUGE stress reliever! You will feel like a weight has been lifted off of your shoulders! Selling your house doesn’t need to be a burden and it doesn’t need to take months to complete! 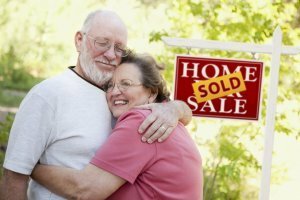 Are you asking, “How can I sell my house fast Massachusetts or Connecticut?” We are one of the only hassle-free home buyers in Massachusetts or Connecticut who are ready to buy your house today. 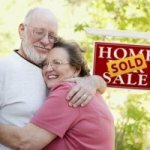 Do You Need To Sell Your House in Massachusetts or Connecticut? Mass Property Buyers‘s process is fast and easy. You may contact us by filling out the online form above or simply give us a call at 413-455-0008 (available 24/7) We are always here to help. You deserve a fair offer today. No matter what condition your house is in. No matter what situation or timeframe you’re facing… Our goal is to help make your life easier and get you out from under the property that’s stressing you out… while still paying a fast, fair, and honest price for your house. Save time, money and headaches with Mass Property Buyers simple and easy process. We buy MA OR CT houses in any condition. We will give you a FAIR ALL CASH OFFER. You don’t have to accept our offer. The choice is yours. There is no obligation! At Mass Property Buyers we pride ourselves on the satisfaction of our home sellers. Our professionals make sure you receive exceptional treatment and a fast response.